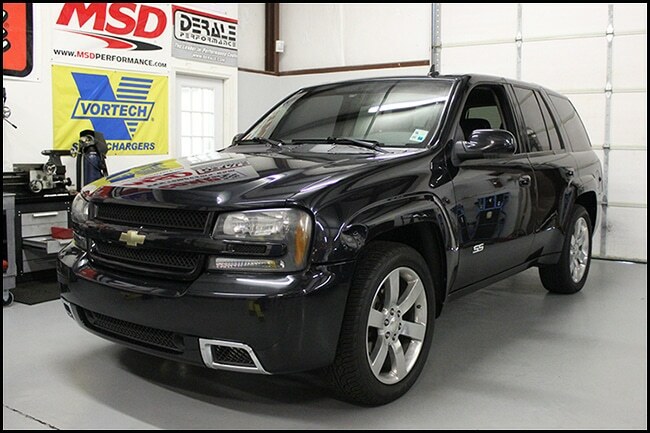 2009 Trailblazer SS L92 Heads & Cam Package – PCM of NC, Inc. This 2009 TBSS hails from Louisiana, and we were grateful that the owner was willing to drive so far to have us do his work! He already had a couple of our parts installed, such as our SPAL electric fan kit and our PCM of NC Ignition wires. The truck also came in with a set of Stainless Works Headers and a Yank torque converter. 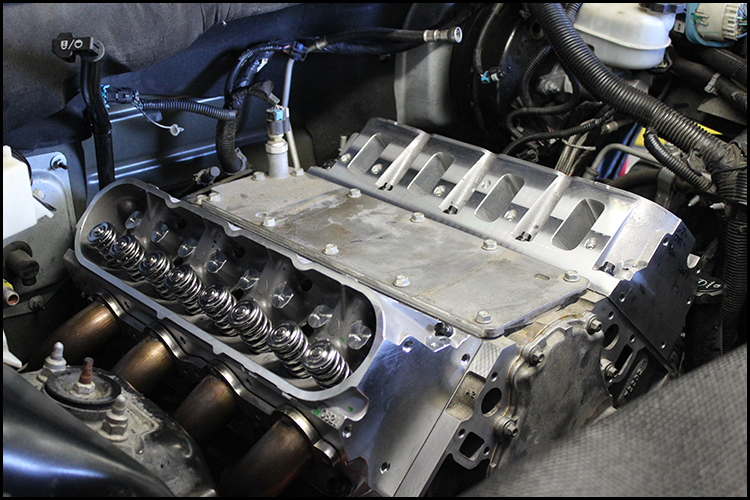 This customer was interested in picking up some serious naturally aspirated horsepower, so we went with our L92 Cylinder Head Package, and custom spec’d a cam to go along with it. 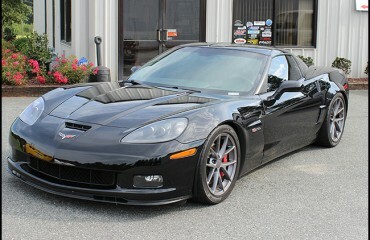 To make sure it was breathing in enough air, we also added our 4″ One Piece Fenderwell Intake. With all the extra power, we also wanted to be sure that the truck would have some protection against oil starvation – so we also installed our Oil Pump Pickup Tube Relocation kit as well! 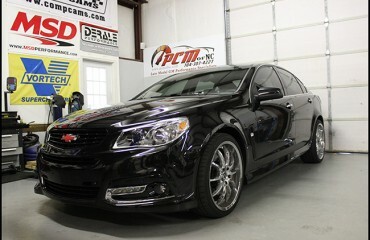 After a baseline dyno yielded 343 rwhp & 353 ft/lbs tq, we got right to work with the tear down. We had sent off the L92 cylinder heads to Phil at Advanced Induction ahead of time, knowing that he would do an excellent job for us. When we received them back, not only did they look amazing but we knew the performance would be fantastic as well! Alvin spec’d a cam that had a choppy idle, but drove excellent as well. 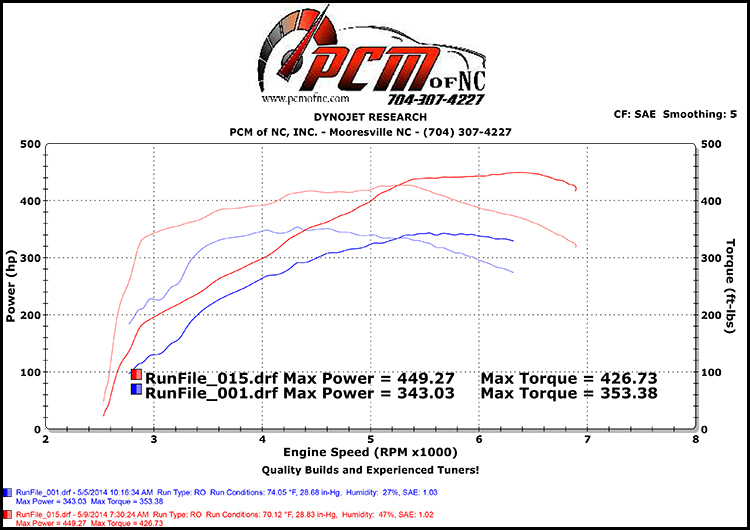 The dyno showed an impressive gain of 106 rwhp & 73 ft/lbs tq, gaining everywhere across the power band! 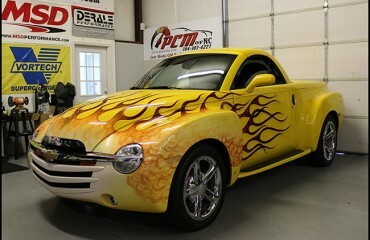 This heads and cam package was an excellent addition to this truck, and it sure turns heads now!